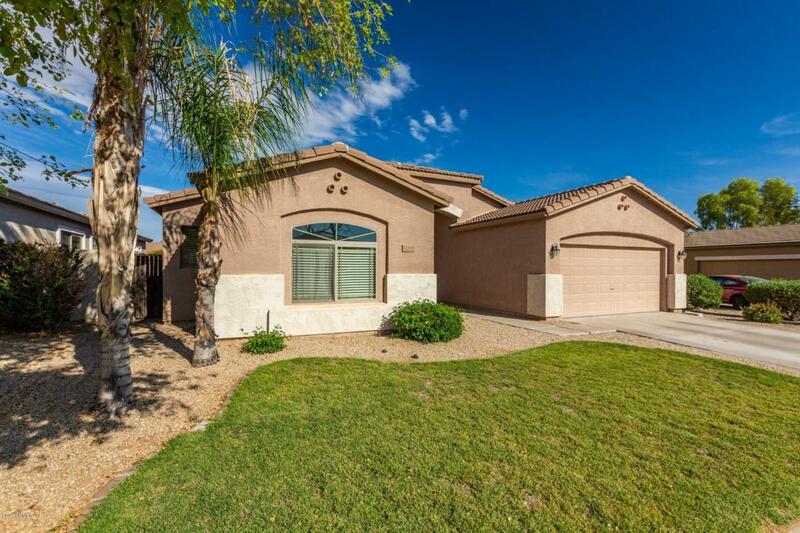 Beautifully upgraded 4 bedroom home! 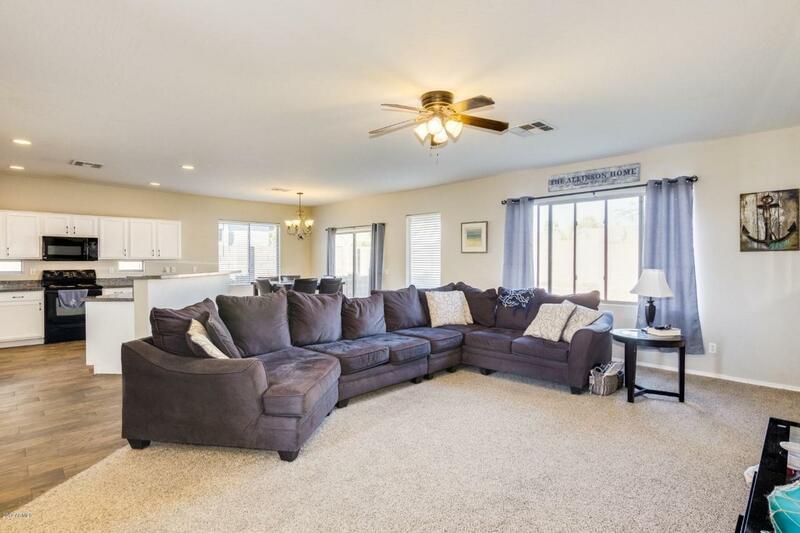 You will absolutely love this open concept floorplan. Spacious home is a true 4 bedroom PLUS aflex room that could serve as an office or kids space. 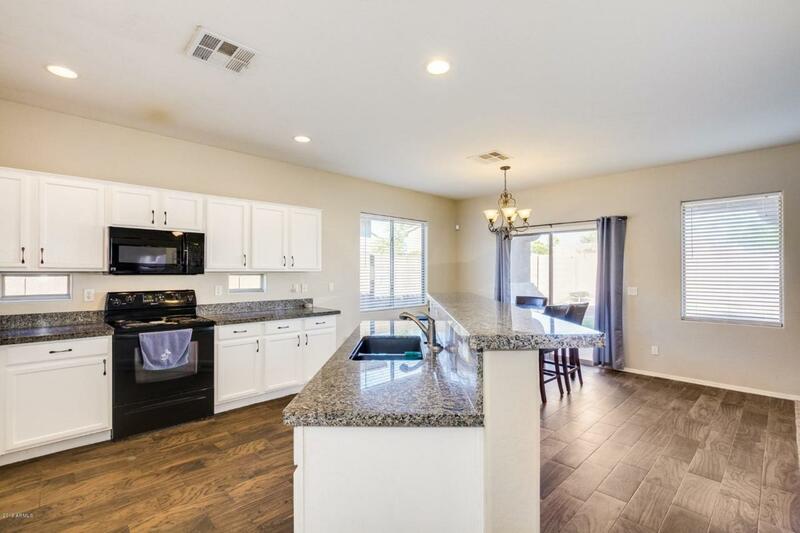 The kitchen features granite countertops, white cabinets and island. 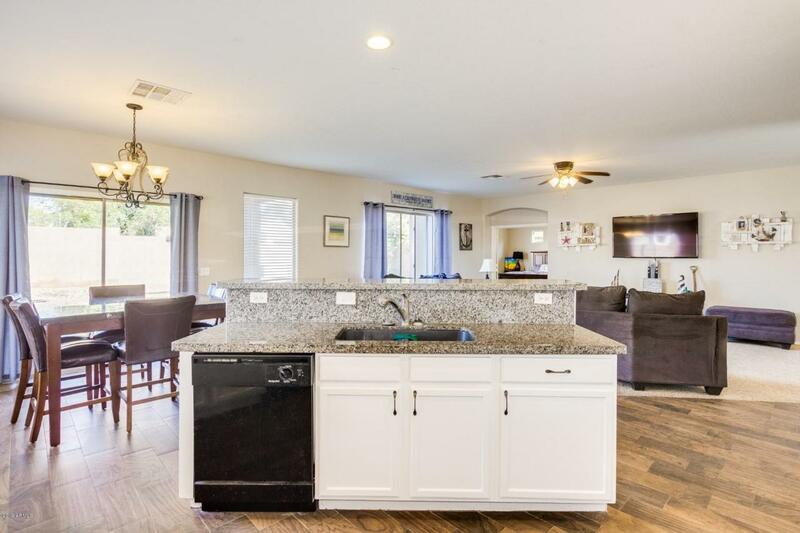 Master bedroomhas double entry door and a large walk in closet, master bath includes double sinks, separate tub and shower.Private back yard with lawn and a covered patio. Villages of Queen Creek community offers so many great amenities! Pools, Gym, Tennis Courts, Golf Course and Playgrounds for a verylow HOA!Close to shopping and dining too. HURRY this home will sell quickly!